When you are newer to the screen printing industry you learn as you go; and as with most things in life you learn from your mistakes. Mclogan’s is here to help! 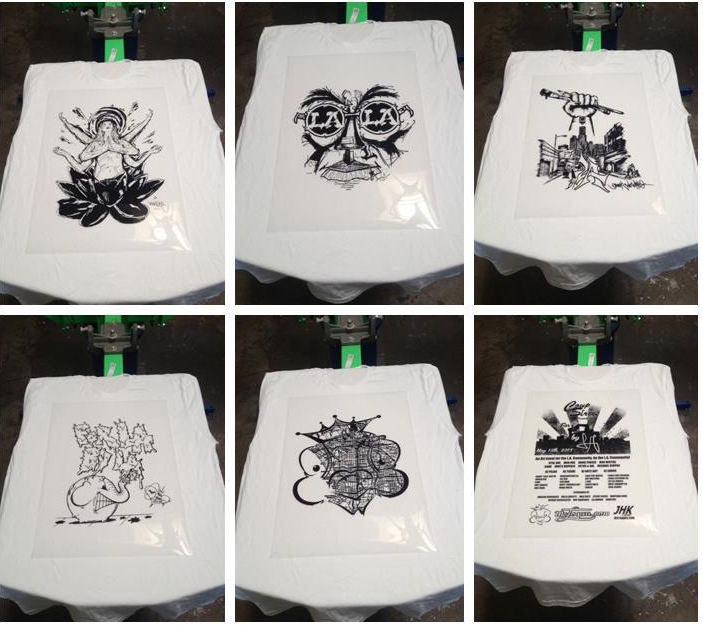 Here are a few tips to help you with your screen printing jobs. Don’t throw out previous films! This seems to be a big mistake for a lot of our customers. Once your films have been burned save them, and re-burn them when needed. Create a filing system that is in alphabetical order. That way you can save your films by company name, for easy retrieval. Fix your screens and films. If there are minor mistakes on your burned screens just plug the small meshed section with a block out pen or tape. If your film has a blemish use a sharpie and hide the minor errors. Be sure that you can not see light through your sharpie colored strokes, to ensure a clean burn. Delegate the screen printing process. Have one person laying out t-shirts, while the other person can be responsible for the print. This is easiest to do when you have at least a two station press like the Hopkins BWM 4 Color 4 Station Convertible. Use Pellons and Pallet Tape. Pellons are used for all test prints, to ensure that your design is as it should be. These pellons are available in both black and white to align your design and find pin-holes before you start your garment printing. Pallet Tape (R-Tape) is also known as application tape for the industry and it’s a great way to protect your pallets. Pallet tape will also speed up the cleaning process at the end of the day, by not having to clean the adhesive off the pallets. Make the ordering process for your customers as easy as possible. Offer your prices online, as well as online ordering. This will save you time and then you will also not have to deal with so much paperwork. Make sure your customers know that they will have a 1-2 week window where they can get re-prints at a cheaper price. Plan on saving your burned screens for 1-2 weeks, and it will save you time and your clients money on the set up fees. Become friends with the Flip Fold! This handy gadget makes folding your shirts so easy and professional looking. Use the right mesh count. For more info about this click here. We hope these steps help you and if you have any questions give us a call!